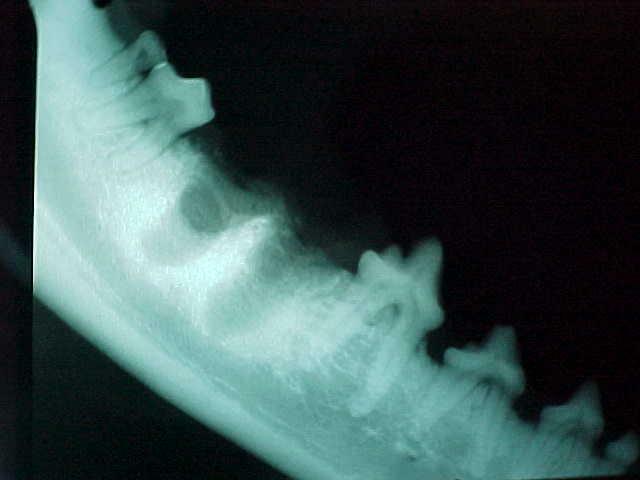 Did you know that dental disease is the most common chronic disease seen in dogs and cats? Studies have shown that 75% of adult dogs and cats over the age of 5 have some degree of periodontal disease, which involves bone loss around tooth roots. Unfortunately, dogs and cats RARELY tell us when they have significant dental pain. We routinely find broken, infected, and painful teeth on annual physical exams when their caring, attentive owners have never seen signs of discomfort. But we know for sure from our own human experiences that broken, infected, or loose teeth are ALWAYS painful. Dogs and cats are just tough! They don't complain, they are geared to survive and because dental disease is a chronic progressive diease, they just learn to live with chronic dental pain. We examine your pets mouth and teeth during every physical exam, and our doctors will be sure to point out any significant dental concerns. Do my pets really have to be put under anesthesia to clean their teeth or perform an extraction? In a word, yes. Because proper dental cleaning involves scaling tartar right at and above the gumline, as well as probing all teeth for any signs of gum recession or tooth root decay, your pet will need to be under anesthesia. Additionally, a lot of water is used during cleaning and rinsing so they need a tube in their airway to protect them from getting contaminated water into their lungs which would lead to pneumonia. Fortuntately, anesthesia these days is very safe and as long as your pet is generally healthy, there is a minimal risk for anesthetic complications. Even for those older pets with kidney or heart disease, we can tailor their anesthetic protocol to be as safe as possible so we can treat your pet's dental pain. Can my pet still eat if you have to pull any teeth? Yes! If your pet has a tooth (or many teeth) that needs to be extracted, she has probably been avoiding chewing with this tooth for quite sometime. If she could talk, she would raise her paw and say "please get rid of that painful tooth!". 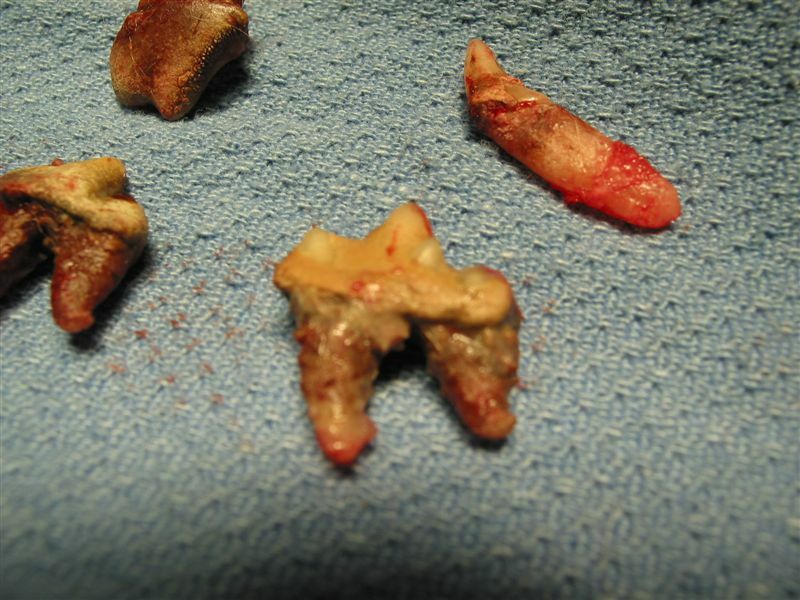 Dogs and cats who are just missing a few teeth can still eat dry food with no problem at all. Pets who eventually are left with only a few or no teeth can survive happily with soft/canned foods. Most importantly, they are finally comfortable and won't have chronic dental pain!